Do you fear you’ve outgrown your space? Before you start thinking about real estate, think about expanding your home with a beautiful room addition from Keystone Homes, Troy, OH’s trusted source for high-quality home construction and remodeling. Without having to uproot the family, a contractor can help you get your home to become just what you’re dreaming of. Soak Up The Sun: Everyone craves natural light, but not all houses were optimally designed to let the sun shine in. 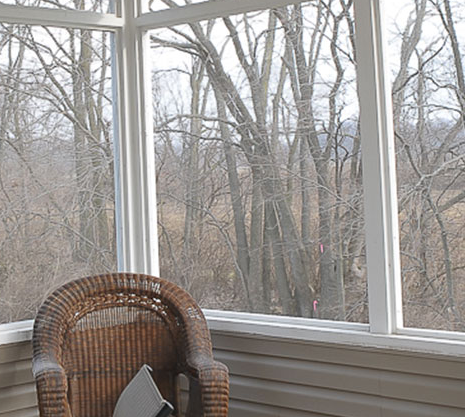 A sunroom can be a great way to enjoy the sunshine any time of year. Create More Space: If you worry that you’ve outgrown your home, a room addition by Keystone Homes can give you the extra space you need for sufficient storage, an office area, or a welcoming guest room. Carve Out A Man Cave: This trend is sticking around, so how about adding a man cave to your existing floor plan? A room addition can give you the space to make your man cave dreams come true, with a big-screen TV, pool table, or whatever your heart desires. Make Room For Baby: If you have a little one on the way, you may be feeling the pressure to make your nest perfect for the new addition. Make room for a lovely nursery in your home with a room addition that can evolve into a playroom as your child grows up. Keystone Homes is Miami County’s trusted provider for home construction and renovation throughout Troy and beyond. To learn more or discuss your next project, call (937) 332-8669 or visit their website.